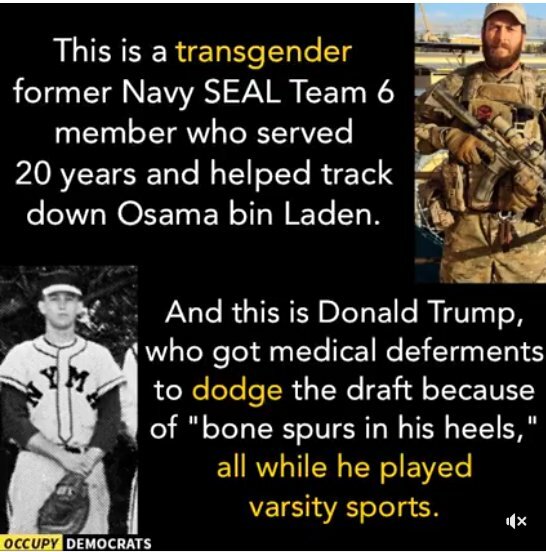 I mean, first of all, this goddamn draft dodger couldn’t hold a candle to the men and women of our military, yet was the gall to tweet out the announcement like the coward he is – because he knows it’s fucked. And sure, it’s a fine distraction from the Russia investigation (http://thesportingsnarf.com/2017/07/18/take-it-home-robert-mueller/). But it doesn’t mean it’s not a denial of civil rights. This is exactly what all dictators do. You dehumanize and eliminate the small defenseless people group by group. This is what Hitler did to the aged and mentally ill. What Trump people are following is not democracy.